Learn how to confirm and publish your automated split test. This is the last and most important step in creating your automated split test. 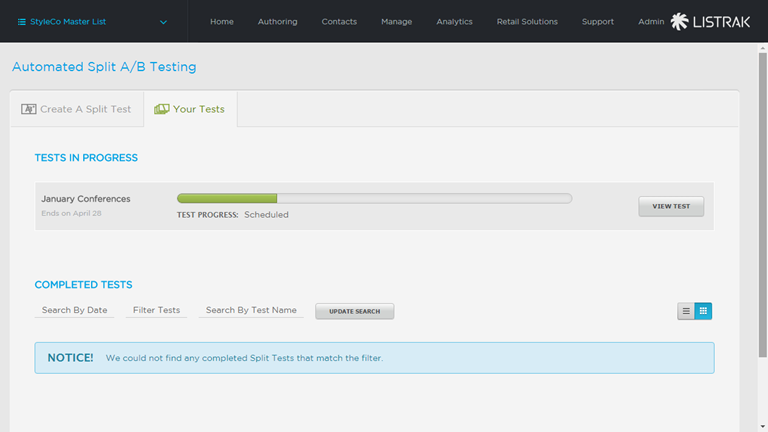 Now is also a good time to go back through your split test settings and review them before clicking Start Test. As you are reviewing your settings, you have the option to Edit each individual section to make changes. You will no longer be able to change certain features, like test criteria, but the majority of the settings are available to be updated. After you have confirmed your settings, click Start Test. You will then be taken to the Your Tests screen. You can view your test and make changes until it actually starts. If you have your split test scheduled, you have the ability to change some criteria before it gets sent out by clicking View Test.